The leaks from the Steve Jobs biography have been plentiful today. But this clip from Sunday's 60 Minutes profile gives us a rare opportunity to hear one of the most serendipitous moments of Jobs' life—from his own voice. 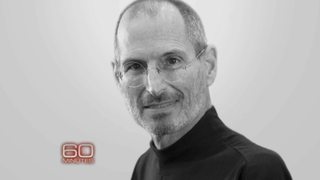 Above, Jobs relates the story to his biographer, Walter Isaacson. He does it without emotion. He's moving around the room, distracted. It's a tale told by a man who's spoken it often enough to create a distance from it, who outwardly (and perhaps inwardly) could not care less about the man who brought him into this world. From a man who determined to live his own life, and not anyone else's.